The downside with the communal spirit of Grañón was the equally communal start at 6am, which I can't say I was particularly enthusiastic about. Grañón's parish albergue laid on a basic breakfast, but it was only after 15km of walking on arrival at Belorado that I found a cafe that was open and able to do breakfast, albeit on decidedly brunch hours. 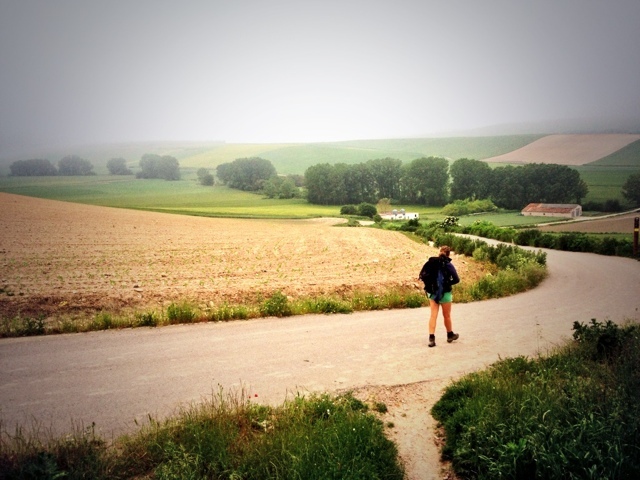 The flip side was that by 10.30am I'd walked over half the day's distance, and ready to finish off the rest of the walking to Villafranca - although the weather remained persistently overcast and drizzly. A small group of us who had started walking from Grañón stopped off at a small cafe at Tosantos for a sandwich, where the manageress very kindly gave us glasses of beer on the house - which helped deal with the thick crusts of bread around the ham and cheese! We carried on, and the short stretches along the main road were actually rather entertaining as I did my best to get the truck drivers to sound their horns as they sped by. Childish, but... fun. 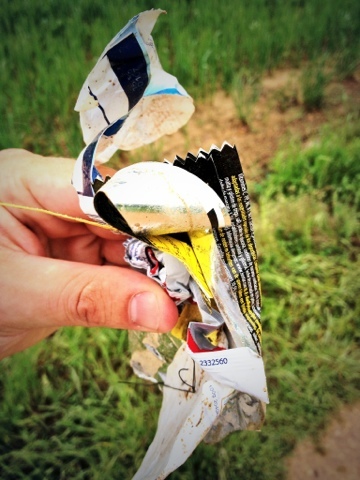 I've tried to pick up a few pieces of rubbish over the last kilometre or so of each day - it always amazes me at how people can just leave wrappers and crap in the countryside they've enjoyed. I'm spending tonight at an albergue that is an annexe to a smart hotel - which means quiet space to write my blog, read, drink beer, and so on. Supper was ok, but lovely company with Kate and Cameron from NYC. The quantity of alcohol for €12 was pretty impressive, and I suspect I'll sleep solidly tonight, before the early start for the 38km or so to Burgos tomorrow.